when buying two identical products gets 3rd for free! 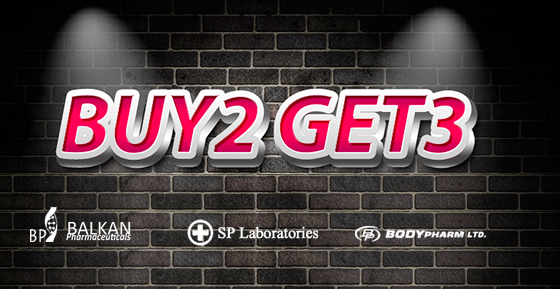 the promotion is valid only for balkan pharmaceuticals, sp-laboratories and bodypharm !!! leave comment buy 2 get 3 to participate in the promotion!